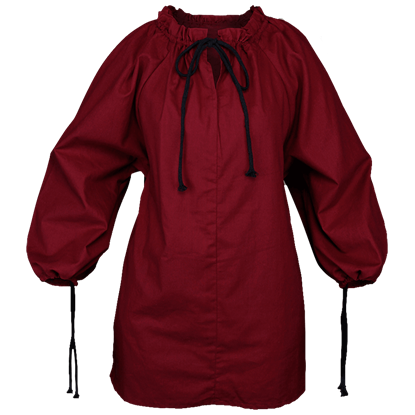 Classic outerwear for the Renaissance fair or another historical re-enactment event, the Aaron Canvas Cloak comes in a traditional cut suitable for many different period characters. 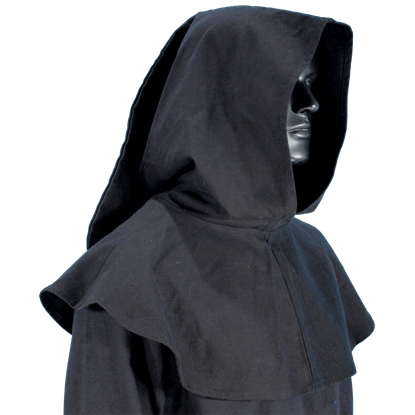 The medieval cloak features a large hood. 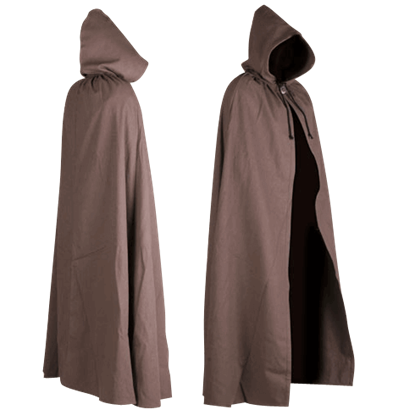 The hooded cloak is a simple yet stylish staple of any medieval ensemble, serving many functions while also adding a bit of authenticity to an outfit. 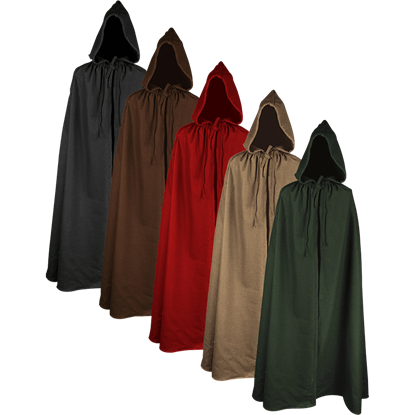 The Aaron Wool Cloak offers this modest but vital garb in a variety of colors. 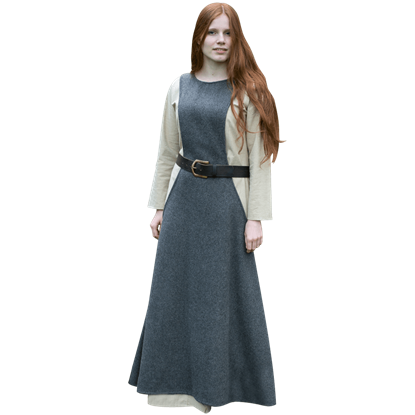 A simple garment for medieval re-enactments or the Renaissance fair, the Alina Underdress makes a useful addition to any period wardrobe. The long-sleeved dress is crafted from high-quality cotton perfect for cooler weather. The Amelia Canvas Blouse is a staple addition to any historically inspired wardrobe. 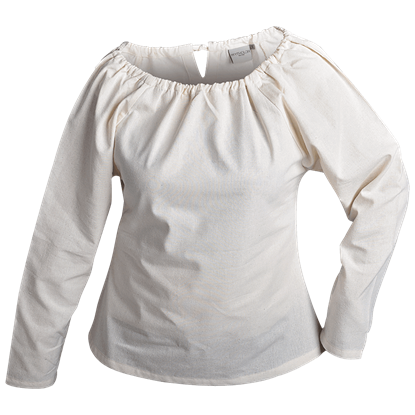 Made of cotton canvas, this womens blouse features an adjustable drawstring neck, long sleeves, and a lightly shaped, figure flattering construction. 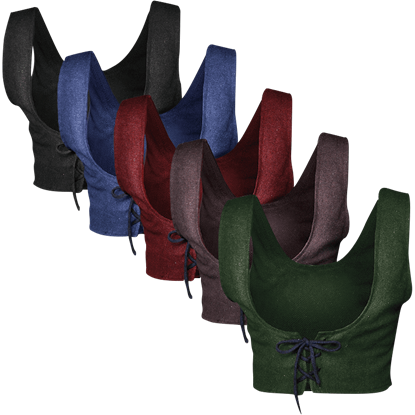 The perfect ladies garment for warm summer days at the Renaissance fair, the Anna Blouse is crafted from light cotton fabric. 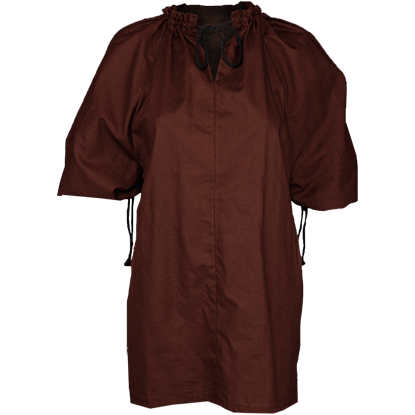 The medieval blouse features wide-cut long sleeves that can be gathered up and worn short if desired. 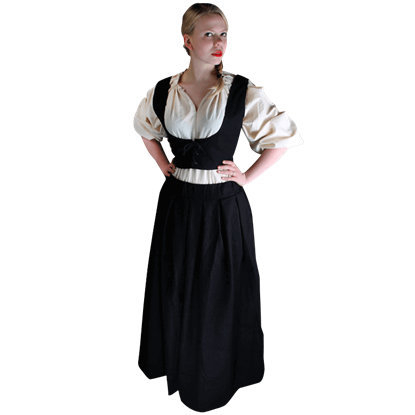 A charming addition to your medieval ensemble, the Anna Canvas Skirt suits spirited tavern wenches or staid farm wives. 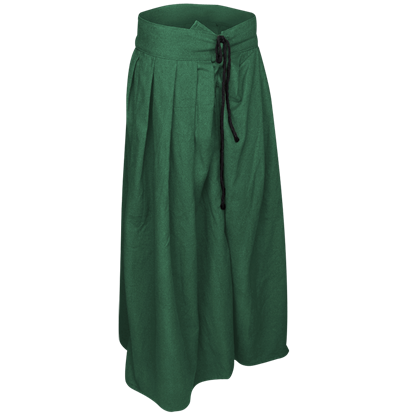 The ankle-length skirt is crafted from durable cotton canvas perfect for LARP events and medieval markets. Whether you choose to wear it with a bodice or on its own, the Annabelle Blouse is a fine addition to your roleplay wardrobe. Made from sweat-absorbing cotton, this historical garment will help you stay comfortable while in character. 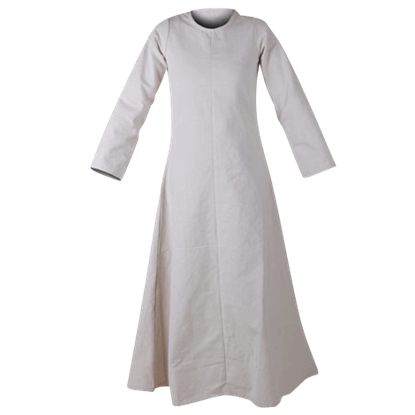 Wizards, priests, scholars, mages, and more will find the Arndt Cotton Robe a marvelous addition to their wardrobe. 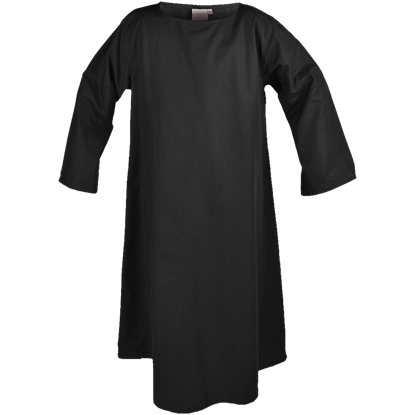 Classic in its style and easy to wear, this long sleeved robe has a loose fit for plenty of mobility and comfort.